It may sound like chatter, but there's a message! 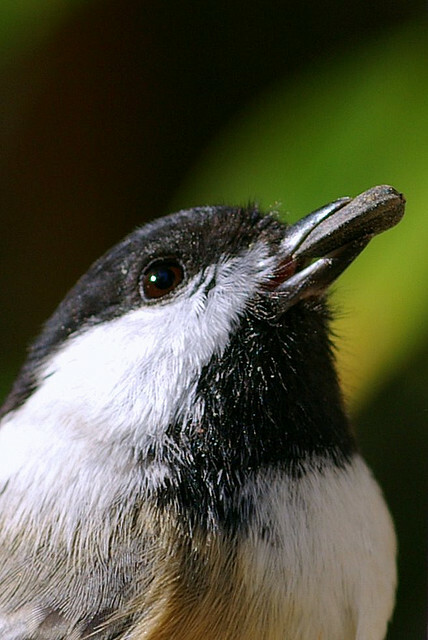 Black-capped Chickadees sometimes add extra dees to their calls. Christopher Templeton has cracked the chickadee code. He found that a relatively small threat, maybe a slow-to-maneuver Great Horned Owl, warranted only two dee notes. But a greater threat, an agile Northern Pygmy-Owl, elicited an emphatic five dees. The warning system of the Black-capped Chickadee is one of the most sophisticated in the avian world. 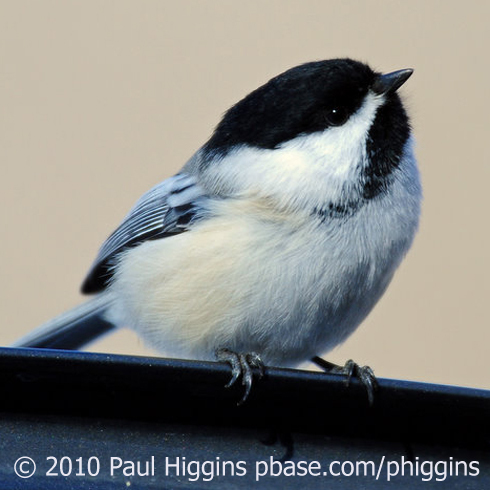 Learn more about the Black-capped Chickadee at Cornell's All About Birds. During the non-breeding season, chickadees often associate with other birds in mixed-species flocks. Templeton and a colleague, Erick Greene of the University of Montana, wondered if the chickadee warning calls in any way influenced other birds in these flocks. They focused on the small, alert Red-breasted Nuthatch [Red-breasted Nuthatch call], a common flock companion—and found it to be a particularly astute eavesdropper that pays special attention to the chickadees’ calls. The nuthatches responded more vigorously to the five-dee alarm than to the two-dee call. They were roughly twice as likely to mob together. Also, they flicked their wings in apparent agitation and sounded their own alarm calls. Listen again to one of the most sophisticated warning systems in the avian world. Learn more about this research* when you visit our web site, BirdNote.org. I’m Frank Corrado. Bird audio provided by The Macaulay Library at the Cornell Lab of Ornithology, Ithaca, New York. Black-capped Chickadee calls recorded by R.S. Little and S.R. Pantle. Red-breasted Nuthatch calls recorded by R.C. Stein. Alarm call of Red-breasted Nuthatch recorded by C. Marantz.